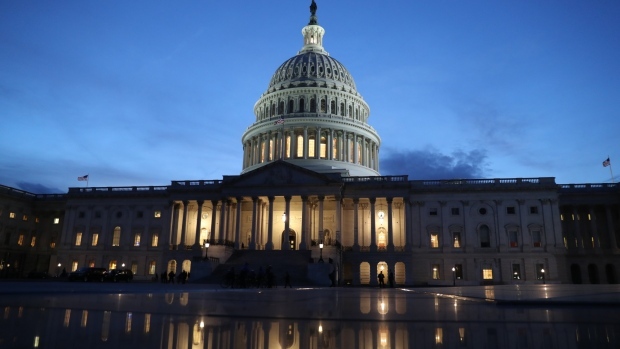 The U.S. budget deficit widened to $691 billion in the first half of fiscal 2019 as spending outpaced an increase in revenue, highlighting the continued fallout on the government debt from President Trump’s tax cuts and the effects of an aging population. The budget gap increased 15 per cent compared with the same October-March period a year earlier, according to the Treasury Department’s budget report released Wednesday. Receipts for the six-month period rose 0.7 per cent while spending jumped 4.9 per cent. For the month of March alone, the deficit narrowed to US$147 billion, which was narrower than economist forecast in a Bloomberg survey and the US$234 billion level the prior month.